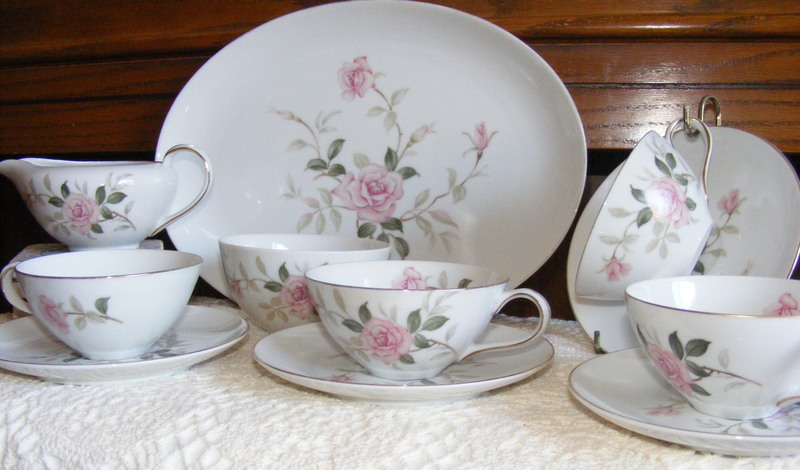 This entry was posted in Vintage Finds and tagged Contour China, creamer, cups, Japan, Picardy, pink, platter, roses, saucers, sugar bowl, Tea. Bookmark the permalink. hi. We have the whole set. Which pieces are you looking for? Do you have the teapot, by chance? I have a set of Contour China Picardy. I would like to sell. Do you have the teapot for this pattern? What about the sugar bowl?